Seven sites — located in Lee, Mecklenburg, and Rockingham counties, and Alexandria, Portsmouth, and Richmond — have been approved for listing on the Virginia Landmarks Register. Of the sites listed by the Virginia Board of Historic Resources during its spring quarterly meeting on April 17, two arose where flowing waters could power mills—on the Meherrin River in Southside Virginia’s Mecklenburg County, and a creek in the Shenandoah Valley’s Rockingham County. In present-day South Hill, the Whittle’s Mill Dam deflected strong currents from the Meherrin River to operate grain and saw mills. The mill complex, constructed around 1756, was part of a large homestead owned by Colonel William Davies and Fortescue Whittle, prominent colonial-era men. Portions of this earliest section of the dam are still visible on the river. Owner A. W. Hankley operated Whittle’s Mill Dam between 1915 and 1940. By 1951, the Town of South Hill converted the dam to the production of municipal hydroelectric power, adapting historical equipment that engineers modified during the 1960s and up to 1975, when the town built a new enclosure to house the generator. Whittle’s Mill Dam’s successive designs and construction through three distinct eras reveal local engineers’ ingenuity and persistence. The site is now part of South Hill’s Max B. Crowder Memorial Park. 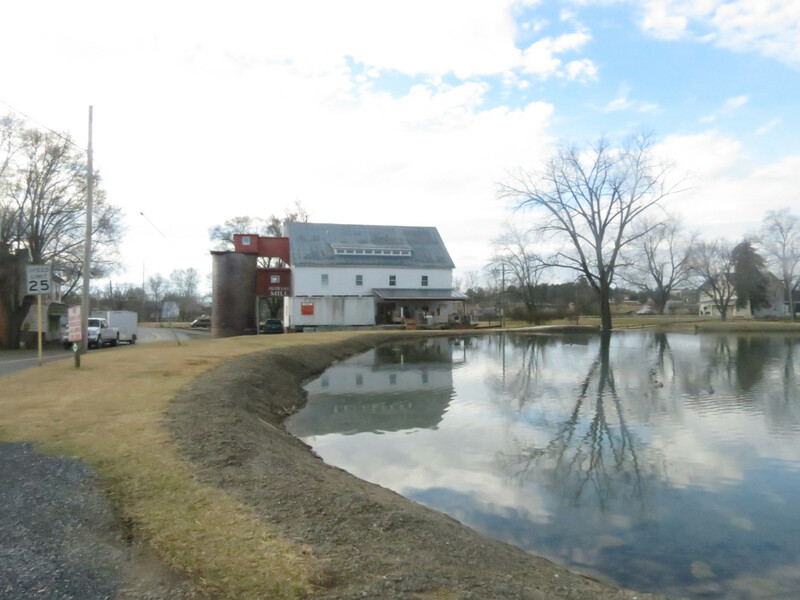 In Rockingham County, the Silver Lake Historic District centers on its name-sake lake, a large mill pond created around 1822, when John L. Rife built a dam across a spring-fed creek for a spillway to power grist and saw mills Rife also erected. Woven into the Silver Lake district’s evolution as a milling site is the story of the area’s settlement by English and Scots-Irish during the 18th century, then German Baptist Brethren during the 19th, and local business leaders during the 20th century. Under Brethren ownership the mill district experienced and survived the trauma of the American Civil War, and today is listed on Virginia’s Civil War Trails. The 104-acre Silver Lake Historic District boasts five historically contributing houses built between circa-1820 and 1930. The present mill, built around 1870, is a three story wooden frame structure with a large overshot water wheel. 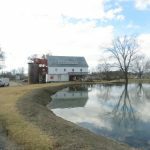 The district’s other historic resources include three 19th-century bank barns, garages and sheds, and a springhouse, wash house, and root cellar. The mill closed in 1996 when then-mill owner Rockingham Milling relocated to a newer facility. Elsewhere in Virginia, two rural dwellings recall 19th century settlement history in the Portsmouth area of Tidewater and in western Virginia’s Lee County. Portsmouth’s Abigarlos is a rare rural residence in the city, a survivor from the early 19th century that stands on a remnant of its original farm acreage. Constructed around 1812, the house has remained in the Carney family, who relocated it on the property in 1896 and 1940. After that last move, then-owner Lucy Carney Warner renovated and expanded the house with plans drawn by Mary Ramsay Brown Channel, who retained important Federal-style features of the original house while reorienting it and adding a former servant’s quarters as an attached kitchen wing, as well as a two-story addition. Abrigarlos is important for its association with Channel, the first female architect registered in Virginia. After earning her architecture degree from Cornell University in 1933, she returned to her native city of Portsmouth and passed Virginia’s licensing exam for architects in 1935. She mostly did new residential designs, along with a few ecclesiastical commissions. Abigarlos appears to be her only significant historic preservation project. Lee County’s Duff Mansion House (its historical name) was built around the Civil War era (1861-65). 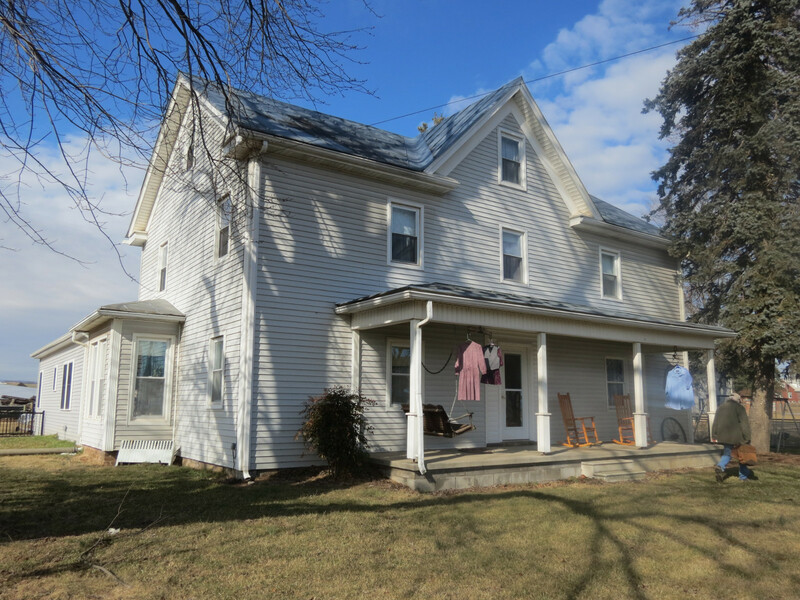 Although documentation does not identify a precise construction date or original owner, the house is among the oldest buildings standing today in the county. Retaining an abundance of historical woodwork and locally sourced building materials, the house preserves its vernacular design and craftsmanship. The property is locally important also for its associations with the Duff family, early Scots-Irish settlers in the region who became influential in the political and civic life of Lee County by the late 1700s. (The crossroads town of Duffield lies four miles distant from the property.) 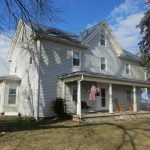 Other historic resources on the property include a mid-19th century smokehouse, a livestock barn from the early 20th century, and a circa-1940 dairy barn. There are also two prehistoric archaeological sites with the potential to provide information about indigenous life during the Archaic and Middle Woodland periods. Two sites approved for listing are located in Richmond and reflect social and economic trends in the city through the 20th century. During the turn of century, Rosedale Lodge in Richmond served as a clubhouse for the Deep Run Hunt Club after prominent businessman Major Lewis Ginter, one of the city’s wealthiest citizens, hired architect D. Wiley Anderson in 1895 to remodel and enlarge what was originally a four-room brick farmhouse from the early 1800s. In 1894, Ginter had purchased the house and surrounding property, a training farm for racehorses, to expand and relocate the Deep Run Hunt Club. Ginter was attracted by the property’s proximity to central Richmond and its ample acreage for fox hunting and other activities. Between 1896, when it opened, and 1910, the Deep Run Hunt Club became the most popular and prosperous social organization in Virginia, attracting Richmond’s fashionable society to spring races and other events at the enlarged clubhouse and property, where the club’s social and recreational expansion could be accommodated. An early design for architect Anderson, the clubhouse highlights his stylistic range and imaginative use of architectural elements from the Queen Anne and Colonial Revival styles, for which he became nationally known. The Rosedale Lodge also furthered Ginter’s vision in developing new suburbs, such as Rosedale, on Richmond’s north side. That same suburban development curtailed the property’s recreational uses and the hunt club relocated in 1910. The concentration and growth of the shipping and motor freight industry in Richmond during the mid-20th century are reflected in the Manchester Trucking and Commercial Historic District, which consists of properties and buildings along Commerce Road in South Richmond. Formerly called Manchester, the area evolved as a hub of commerce and industry from the 18th century and through the 20th century due to its proximity to the James River, emerging railroad connections, and later links to regional and interstate roads. The earliest development in the district derived from manufacturing and wholesale businesses tied to railroad spurs. As transport and distribution needs reached beyond railroads to highways, by the 1950s several regional and national trucking companies established offices and terminals in the district. They in turn engendered supporting businesses such as cardboard box manufacturers and large-scale storage warehouses. The Manchester Trucking and Commercial Historic District retains a high degree of historical integrity from the mid-20th century. Most buildings retain their original form and character as built, and stand on large parcels with tractor-trailer circulation and storage pads. Many of the properties continue as national trucking terminals serving the same businesses that were there historically. The district’s first building, Acme Fixture factory, was erected in 1947. 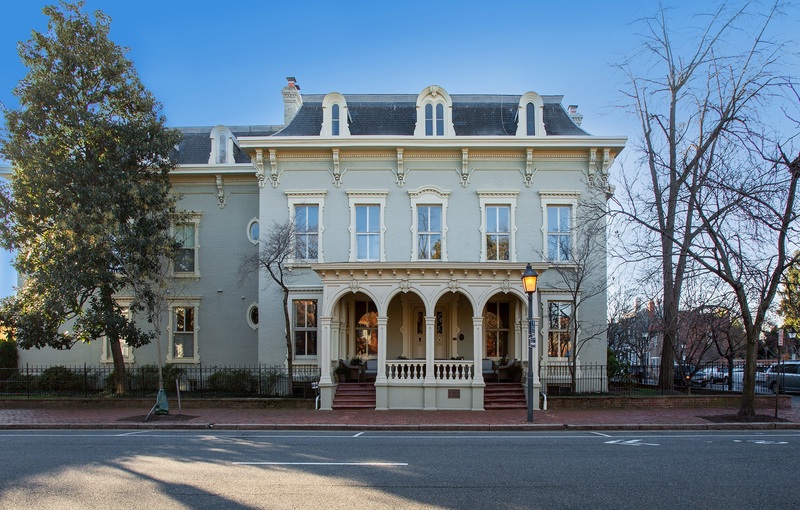 In Alexandria the Swann-Daingerfield House’s high-style Second Empire architecture is noteworthy in a city known mostly for its Colonial, Georgian, and Federal residential styles. 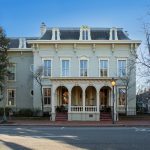 Originally built in the Federal style in 1800 for Thomas Swann, a U.S. Attorney for the District of Columbia, the Swann-Daingerfield House was the residence of three generations of the Daingerfield family, notable Alexandrians who remodeled it into its Second Empire form. From 1899 until 1941, the house served as the locus of St. Mary’s Academy, a private Catholic secondary school for girls founded by the Sisters of the Holy Cross, an order established in Alexandria in 1869. During their tenure, the Sisters expanded the house with two large Second Empire-style annexes. In 1943, the Alexandria Hospital School of Nursing purchased the building and converted it into a dormitory for nurses in training, a role it served until 1973. With its decades-long history and evolution in service of two prominent educational institutions, the Swann-Daingerfield House is locally important for its role in education in addition to its architectural significance. The Department of Historic Resources will forward the documentation for these seven newly-listed VLR sites to the National Park Service for nomination to the National Register of Historic Places.